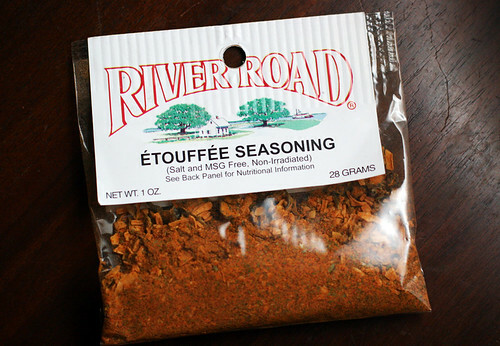 My coworker Jan brought me back some Étouffée seasoning from her New Orleans travels. Last night Jay and I tested it out on some prawns. 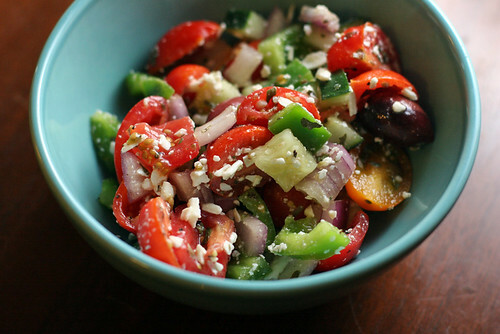 But before that we ate a Greek salad. Because it kind of magically appeared while I was procrastinating from cleaning my apartment. Some cheeses were also eaten. So when the time came to make the prawns we weren't even that hungry, but nevertheless we carefully followed the instructions on the package. 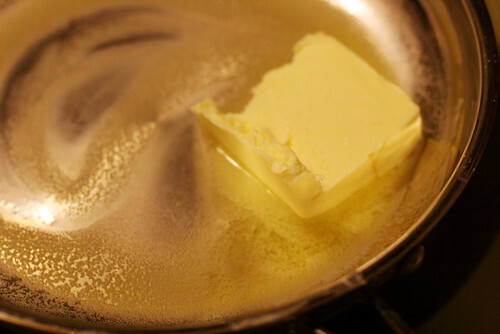 Which began with melting a stick of butter in a pan. We guessed that this amount was close to what one might call a "stick." 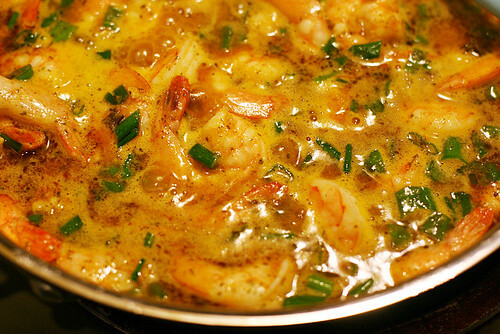 Next you add a pound of shellfish of your choice, and sauté until heated thoroughly. 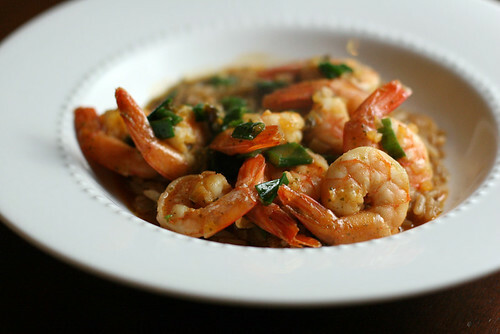 Finally: add a cup of water, a package of River Road Étouffée Seasoning, 1/2 cup chopped green onions and 1 Tbsp lemon juice (which we forgot). 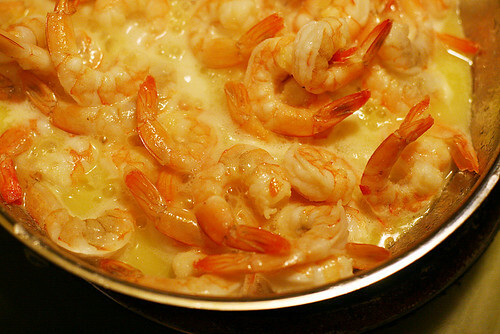 Cook covered until mixture thickens slightly and serve over rice or pasta. I happened to have a box of New Orleans–style "dirty rice" from Safeway that's been sitting in the cupboard for most of this year, so this was finally its moment to shine. It was pretty spicy. It was hard to tell if the spiciness was coming from the rice or the seasoning, but I would wager a guess that the butteriness came from the butter.